Because app’s are being used almost everywhere, I decided to make my own tutorial on how to control my board using App. 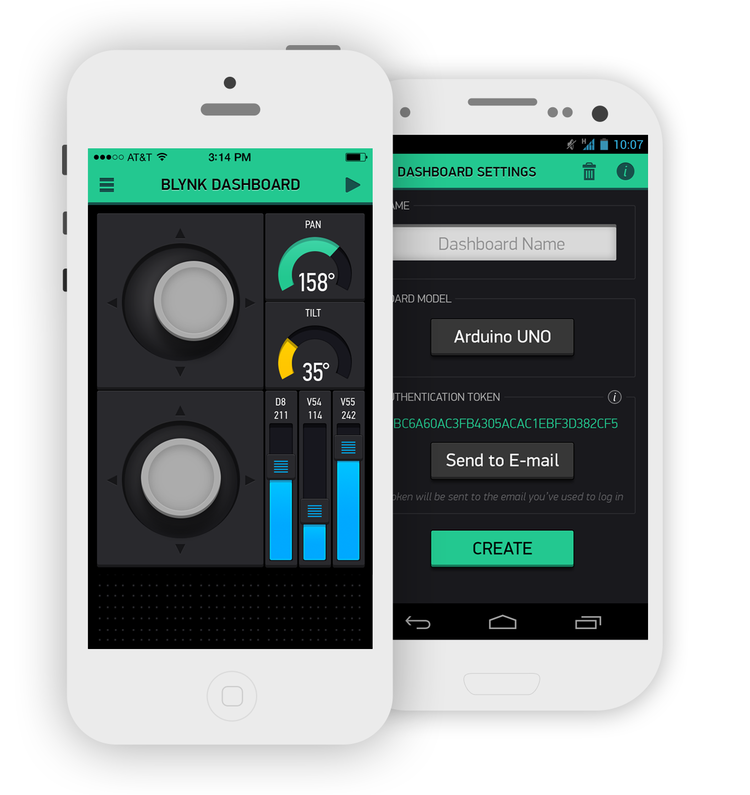 Some time ago, I found a very interesting app platform, ‘Blynk’. 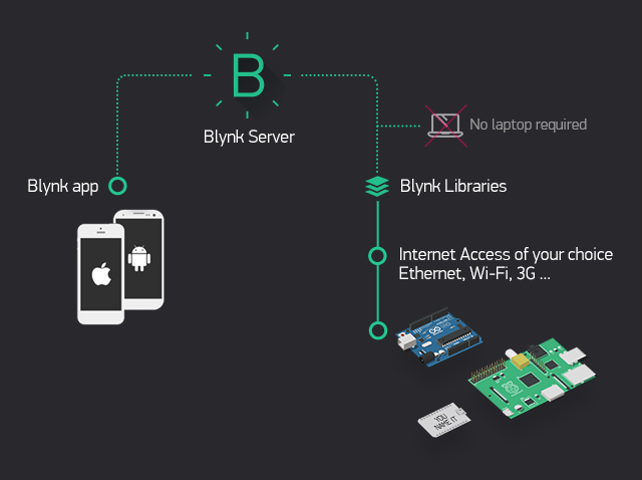 But Blynk platform supports only specified devices(like arduino series), so I’ve porting Blynk library for arduino to my WIZnet W5500-EVB board. 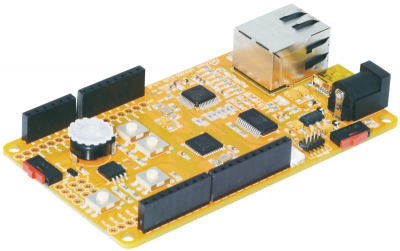 W5500-EVB is an evaluation board for W5500 chip based on the 32-bit ARM® Cortex™-M0 microcontroller. It is the easy way to develop internet connection for efficient and small embedded systems using W5500, WIZnet’s hardwired TCP/IP embedded Ethernet controller. 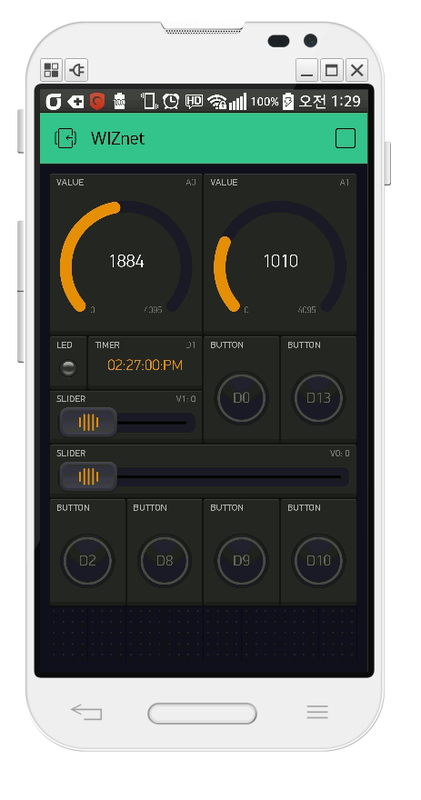 Imagine a prototyping board on your smartphone where you drag and drop buttons, sliders, displays, graphs and other functional widgets. 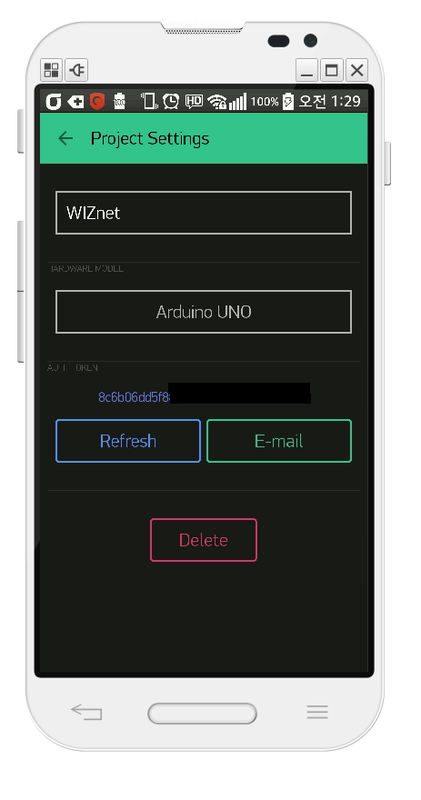 And in a matter of minutes these widgets can control Arduino and get data from it. 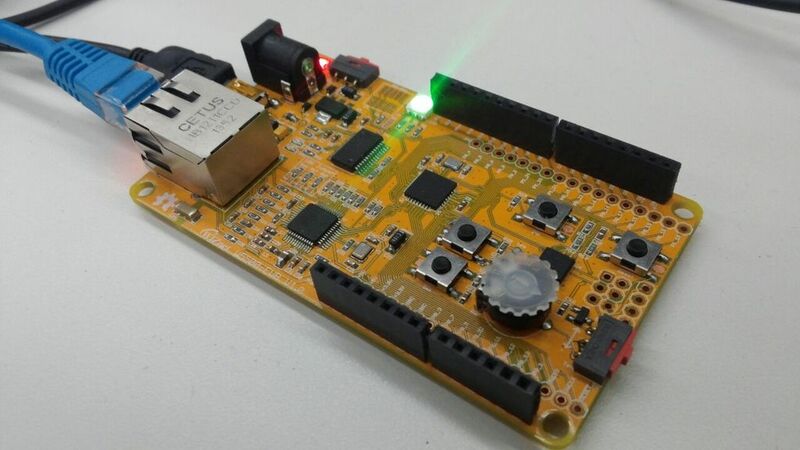 Firmware source code project released on GitHub repository. So, please check the W5500-EVB Pinmap and then use the board. Enjoy it. 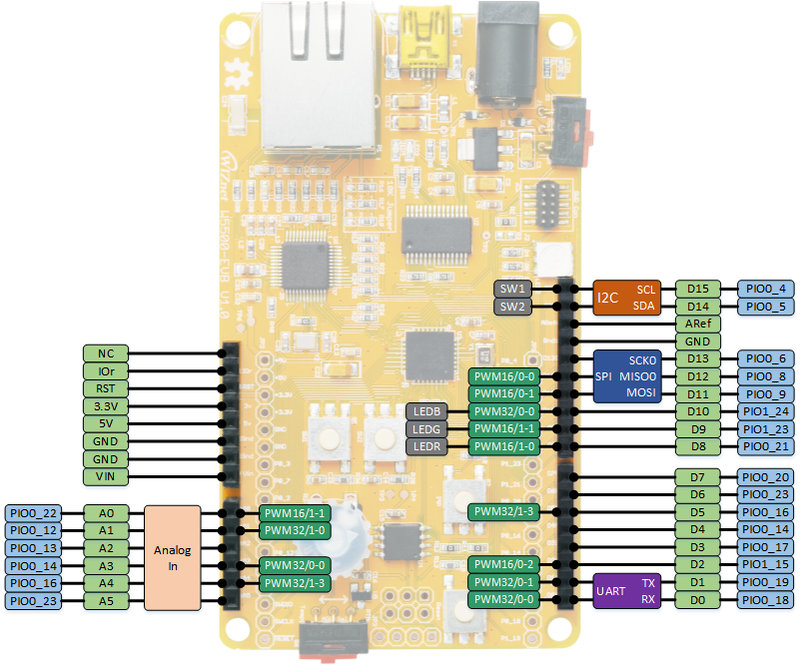 Make your own remote controlled / monitor device using W5500-EVB and Blynk. 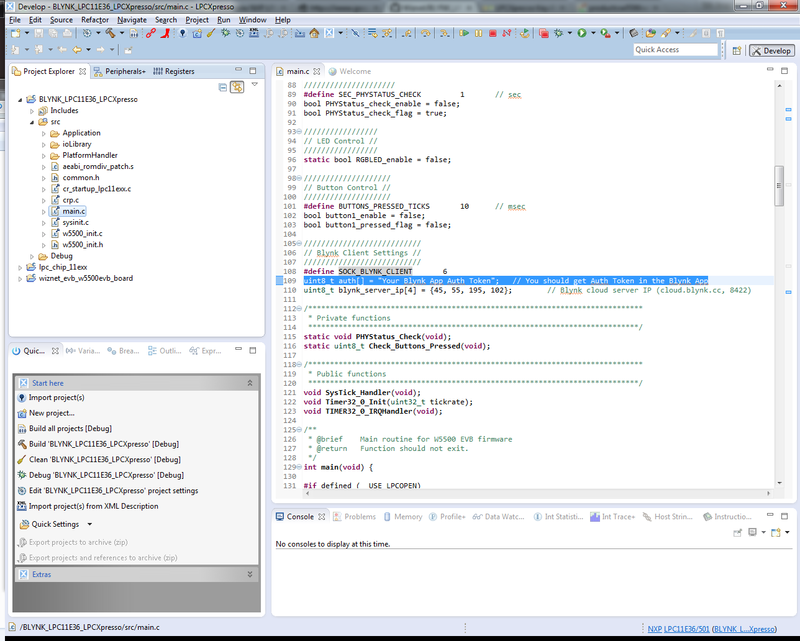 You have to use this example with (1) DHCP client code and Router(DHCP server) or (2) Public IP address.